Go by his businesses site and check it out. Oh yeah, and hire him to design your company’s logo or take your family photos. He’s got mad skillz. 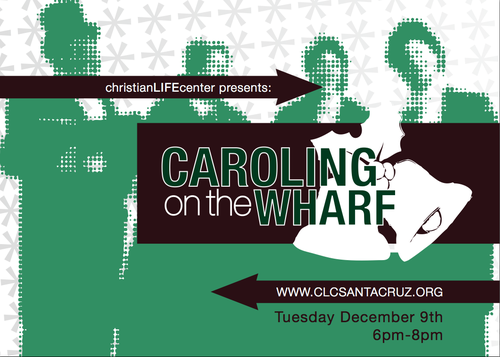 And if you’re in Santa Cruz, come join us for food, fun, caroling and snow! 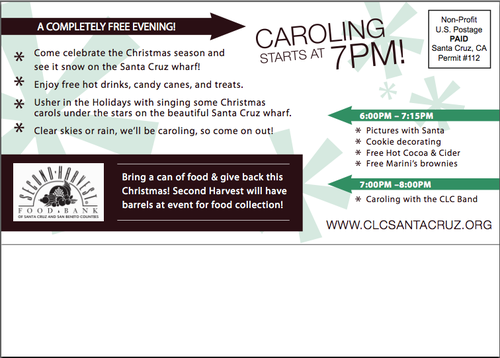 And in the spirit of Advent Conspiracy we’re inviting everyone to bring a can of food to benefit Second Harvest Food Bank for the holidays. Also looking forward to my friend Kenny and his company Lumina lighting up the night and bringing it with the snow as well!